It’s that magic time of year again when the best in class for motocross riders compete in the glorious, mud-filled and speedy brutality that is the Red Bull Hard Enduro season. April 17 marks the first contest in the series: a four-day event called Minas riders to be held in the mountains of Belo Horizonte in the Minas Gerais state of Brazil. 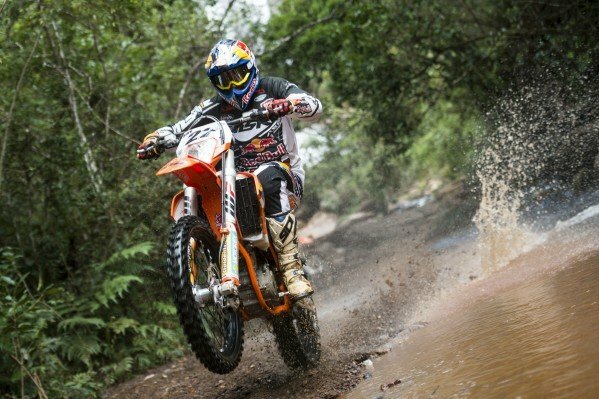 The tropical setting for the first event no doubt creates new and muddy hill challenges for the likes of 25-year-old British rider and two-time champion Johnny Walker. No doubt the other five races will be grand and maniacal spectacles, making for wonderful spectator opportunities and epic failure, triumphs and surprises. The mud will fly, and the metal will crunch. To witness such a high-octane series, we’ve assembled the dates for each one. Now you can plan your vacation, following the racers as they jockey for position as king of the Hard Enduro. The Hare Scramble is next, in Austria, May 26 through 29. And then it’s off to Romania, for Romaniacs, July 12 through 16. The Megawatt, in Poland, runs September 17 through 18, and then it’s off to Turkey for the Sea to Sky, October 6 through 9. Finally, Roof of Africa in Lesotho, South Africa, Nov 30 through Dec 3.